In The Big Money veteran stock picker and mutual fund manager Fred Kobrick draws on his decades of success to explain his Seven Steps to financial security in any investing climate. Kobrick shows investors how to find the high-quality stocks that will make them wealthy. A stock portfolio needs only a few stocks that appreciate in value ten or twenty times, or one or two stocks that appreciate in value a hundred times or more. 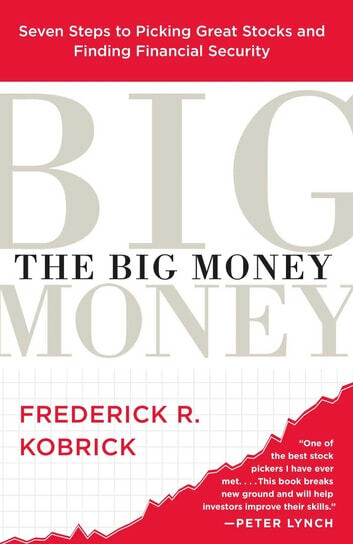 Kobrick describes how he found some of his most successful stocks simply by looking carefully at the products and services that customers and investors love, and recognizing the great business models that create repeatability, the ability to keep producing success. This is a timeless approach, so what works with Microsoft, Dell, or Home Depot will work with Google and even newer companies. Kobrick explains that the average investor should not try to emulate a stock analyst or a technician to find great stocks that will generate great wealth. Instead investors must recognize great companies early -- by understanding their business model, identifying their assumptions, recognizing their business strategy, and evaluating their management. Kobrick calls those four factors BASM, and they are the cornerstone of his investing philosophy. Great managements grow companies and earnings, driving stock prices higher. Kobrick also offers some tried-and-tested ways to know when you have a winner you should hold, and when you should sell. 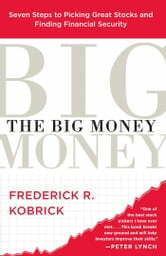 Throughout the book Kobrick describes some of his biggest successes -- as well as a few stocks he missed. His stories about these companies are insightful and frequently entertaining. In bull and bear markets, from retail to high tech, Kobrick has prospered. His stories and his Seven Steps to financial success will show investors what they need to know to do the same thing -- prosper in any investing climate. No serious investor can afford to be without this book. The Best Book On Goldman Sachs Investment Banking Jobs: An experienced former Goldman Sachs analyst, shares her secrets to landing a Goldman Sachs investment banking job.